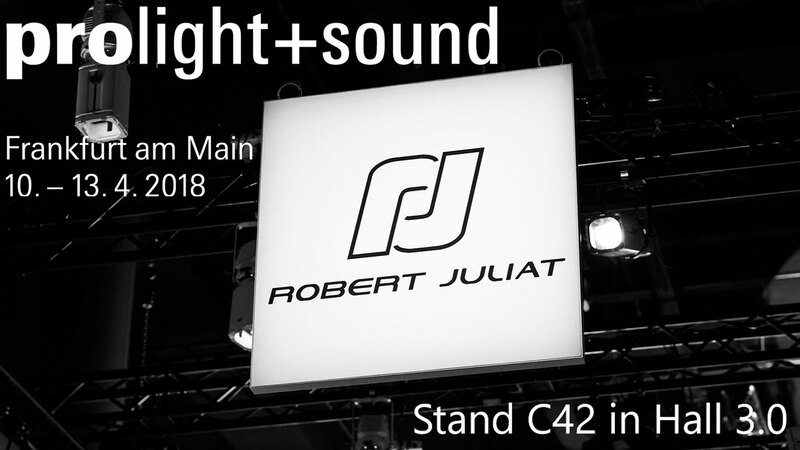 Robert Juliat will make its latest Compact range followspots available from Prolight+Sound with the new, exclusive 600W LED models, Alice and Oz, first in line to ship. These short and long throw followspots exhibit restyled bodywork and all the wealth of RJ features one would expect from Robert Juliat. The combination of a highly efficient LED source and Robert Juliat’s classic optical train ensures Alice and Oz pack a punch equal to that of conventional 1200W discharge models, at a fraction of the power consumption. Most excitingly, Robert Juliat have promised to reveal a new, very powerful, front-of-house LED profile for the first time at the show. You will have to visit the stand to find out more about the new 600W source and optical efficiency. Robert Juliat’s SpotMe, its bespoke, 3D tracking system for followspots, will be demonstrating how it leads from the front in coordinating fixtures to follow performers on stage. With fast and easy set-up, this innovative tool for followspots uses advanced algorithms and calibration to interpret information sent from its sensors to communicate with the console based on PosiStageNet language; and then to coordinate identical movements of other fixtures in the rig. SpotMe can also be used to set limits to avoid light spill into scenic or public areas, while iris movements can be converted into any other function, such as automatic zoom. The expanding Dalis range will also be on show with some new additions to the family. Visitors will be given a preview of two new models both featuring a 4-colour mixing system. The Dalis Access 863 is a cyclight designed to give those with smaller budgets the first access to Dalis technology. The Dalis 864 Footlight is a new colour variation of the original Dalis 862 tuneable white footlight, which includes 48 asymmetrical reflectors, for the creation of colourful upstage or downstage lighting. Finally, RJ’s ZEP series will be represented with a demonstration of RJ ZEP Fresnel 360LF in warm white which will be shown alongside a traditional tungsten Fresnel luminaire. Robert Juliat will demonstrate how this uniquely silent Fresnel, designed specifically with theatre and studio applications in mind, is a powerful, high quality alternative to traditional tungsten Fresnel fixtures and perfect for environments where noise and heat are a no-no! Come and see for yourself in Hall 3.0 – Stand C42 in the Lightpower Village.